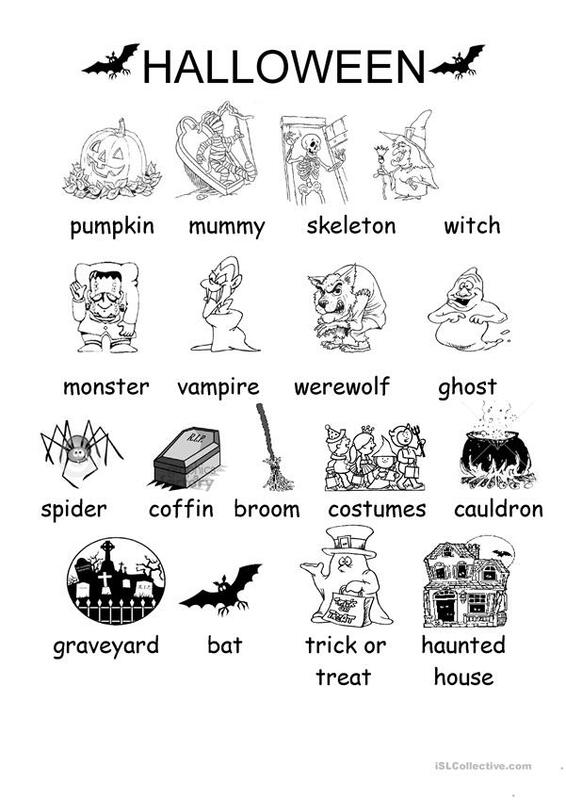 the studentns will learn vocabulary related with Halloween and also colour the pictures of these funny mosters. The above downloadable printable is recommended for elementary school students at Elementary (A1) and Pre-intermediate (A2) level. It was designed for honing your students' Writing skills. 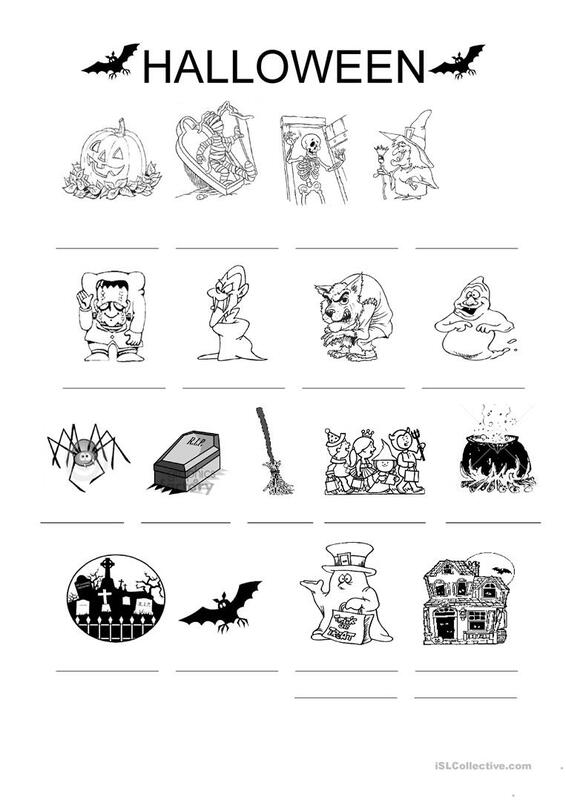 It features the theme of Halloween.